Is Your High School Participating? What better way to seek God’s holy intercession than to encourage students around the nation to participate in SEE YOU AT THE POLE 2017 Wednesday, September 27 at 7:00 AM! What began in Texas in 1990, when a small group of students came together to pray, has, over 25 years later, grown into a day of students uniting in prayer around the globe to pray for their generation. See You at the Pole day brings student together on their own school campuses to pray before God for their schools, friends, churches, communities and their families. Mark your calendars for this year’s SYATP 2017 prayer gathering and if there is not one already planned at your school, grab some friends and make it happen! Important note: Be sure to inform your principal and tell your church youth pastors. Put up posters at school and church. Include in school and church announcements. Text, call and email your friends. Post on Facebook and Twitter. If you have questions, please feel free to email us at dferraro@faith-freedom.com or go to the SYATP website to find all the information you need about uniting in prayer with your fellow students! The spirit of Christmas has arrived at Advocates for Faith & Freedom with the settlement of two Christmas-themed cases involving Southern California children. Both cases involve incidents that happened in December 2013. The resolution of these cases demonstrate how West Covina and Temecula Valley school districts worked with us to address our clients’ First Amendment liberties. As you may recall, Isaiah Martinez, then a first-grader, was barred from handing out candy canes to his West Covina classmates after his teacher noticed an accompanying note explaining the legend of the candy canes. The legend involves a candy maker who created the red-and-white-striped candies to represent the life of Jesus Christ. The teacher consulted with the principal, who told her the candy canes could not be distributed with the Christian legend attached. After school, Isaiah reported to his parents that the teacher tore off the Christian legend and told him that Jesus was not allowed in school. investigation into the matter concluded that the actions of the classroom teacher and the principal were not anti-religious. Although further administrative action through an appeal and litigation are available to the Williams family, and litigation is available to District employees, the parties agree that a compromise would be more beneficial to all involved. The compromise reached by the parties is not an admission of liability on the part of either party. The settlement presents a compromise that is in the best interests of Brynn Williams, her family, the District, District staff, and local students. The District continues to be committed to providing an educational environment that ensures that students do not lose their constitutional rights when they enter the schoolhouse gates. Therefore, the District will continue to work to ensure that all of its students continue to enjoy their constitutional freedoms, including religious freedoms, in harmony with District policies. The District agrees that it is in the best interest of all concerned to provide training to school administrators on the topic of First Amendment rights of staff and students. The Williams family, the District, and the District’s employees are very satisfied with the outcome and the Williams family applauds the School District’s willingness to provide First Amendment training to its staff. While both cases were two years in the making, their successful completion shows the need for persistence when advocating for religious liberty and the protection of free speech. When we take on a case, it is not something that is usually resolved in a day or even a month. It’s typically a long-term commitment with many struggles and 150 to 500 hundred hours of legal work. For example, Isaiah Martinez’ case, our attorneys logged-in more than 350 hours. We are grateful for your continued commitment to our vital work. To that end, would you please consider helping us to continue our core mission by making a year-end tax deductible donation so that we can continue to defend your liberties along with the liberties of students like Isaiah and Brynn who simply want to share the love of Jesus? We know there are many great ministries that deserve your support and we truly appreciate any contribution you can make to Advocates for Faith & Freedom. 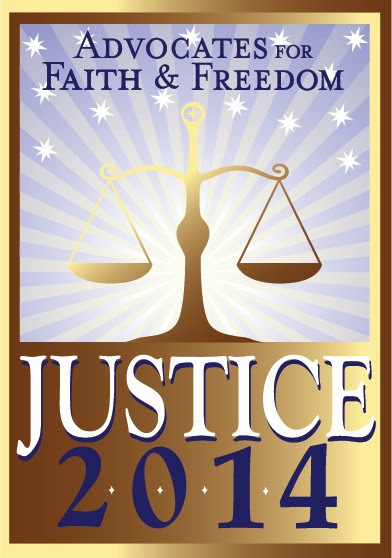 Another Victory for Religious Freedom in Public Schools! Thanks to your support, Advocates for Faith & Freedom was able to help Tracy Stevenson, mom to fifth-grader Ryan, when the principal improperly prohibited the student from donating a Bible to the school’s library. After consulting with Advocates, the parent met with the principal and gently informed her on the legality of the Bible donation. Not only did the principal realize she was wrong, but the school is now accepting the parent’s offer to donate more religious materials! Ryan, the student, tried to donate an Action Bible to the library as part of the school’s ongoing “birthday program,” in which all students are allowed to mark their special day with a book donation of their choice. As part of the program, the book is officially presented during a class visit to the library and is specially displayed at the library’s new book kiosk. While doing online research about the legality of Bibles in schools, the mom came across a similar case that Advocates successfully handled last year. In that case, we sent a demand letter to the Temecula Valley School District after second-grader Victoria Nelson was prevented from donating a Bible at her campus. Our letter extensively explained the legal provisions of the Establishment Clause, which “mandates governmental neutrality,” not only among different religions, but also “between religion and non-religion.” In essence, rejection of the Bible signaled a disapproval of religion to the student, a direct violation of the Establishment Clause. 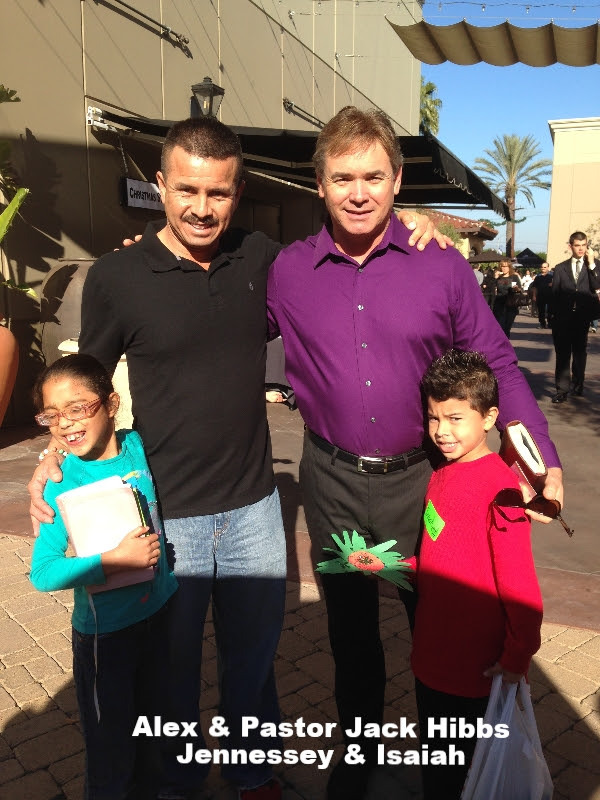 The Temecula district responded by reversing its decision and Victoria was allowed to present her gift of the Bible. Often, as in this case, the demand letter consumes hours of research and writing and reads like the legal briefs submitted to courts. Advocates often publishes these letters on our website so others may use and benefit from our work. After reading about our success in the Southern California case, the Massachusetts mother contacted us. Under the guidance of one of our attorneys, Marty Nicholson, the mother gathered research and case law backing her cause. “She helped steer me to the materials I needed to show my son’s educators that, yes, the Bible can absolutely be in the school library. I needed to research the laws and examples of the Bible in libraries,” the mother explained. We thank God for Tracy’s courage and hope that she will inspire Christian parents across the country. As this story shows, many educators across the country are simply ill informed when it comes to the constitutionality of religious freedom at public schools, and when provided sound legal arguments to support religious expression, many educators are willing to do the right thing. We need your prayer and support more than ever. It sometimes appears that public institutions, the courts, and the government in general have licensed discrimination of Christians. 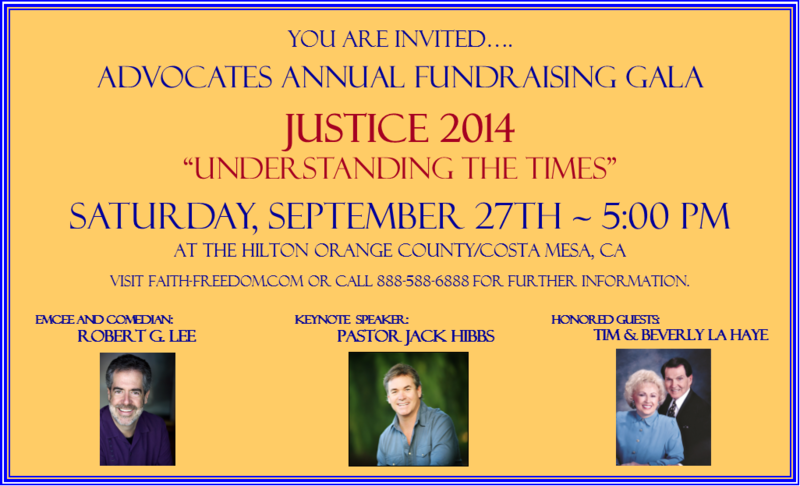 Please consider partnering with us today so that we can continue defending our First Amendment liberties. Whether the interference of religious freedom is intentional or not, Advocates for Faith & Freedom remains committed to protecting those rights. Thanks be to God for His abundant blessings and sovereignty in all things. Advocates is consulting with a Massachusetts student who gifted a Bible to the school’s library book donation program only to have campus officials reject it. Through the program, students who donate a book to the library on their birthday are recognized at the school assembly. The child decided to donate a pictorial version of the Bible as his gift. After consulting with us, the child’s parents are meeting with school officials in hopes to settle the dispute out of court. One of their resources for the discussion is an Advocates case from last year in which officials with the Temecula Valley School District reversed an earlier decision preventing second-grader Victoria Nelson from donating a Bible at her school. The Nelson family contacted us saying that the district and school had not only rejected the Bible, but also their daughter. Not only did the principal apologize to Victoria, but she was also allowed to share her donation at a school assembly. You can read more about the Nelson case here. Whether it’s incidental or deliberate, public schools across the country are increasingly quashing the rights of students to practice their First Amendment rights of free speech and freedom of religion. As demonstrated by these cases, Advocates for Faith & Freedom is committed to protecting these unalienable rights, no matter where in the United States the infractions occur. After consulting with us, the child’s parents are meeting with school officials in hopes to settle the dispute out of court. 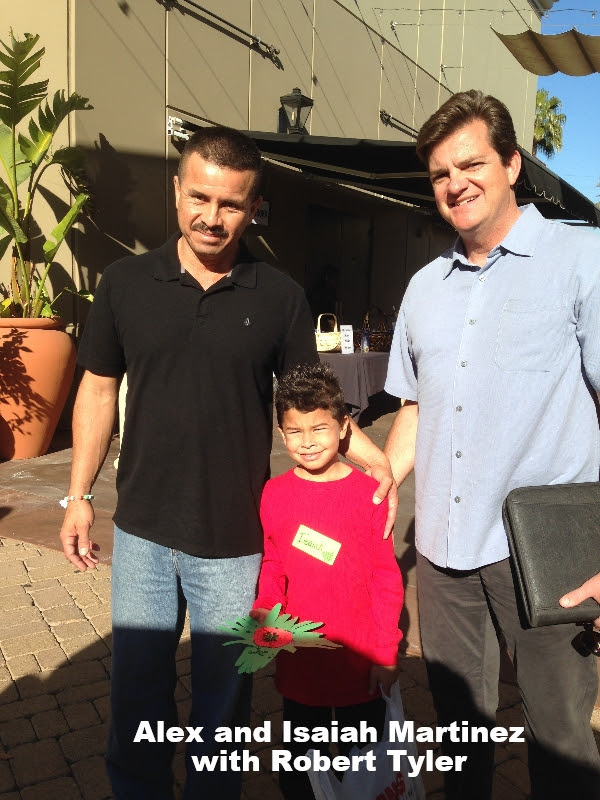 One of their resources for the dis cussion is an Advocates case from last year in which officials with the Temecula Valley School District reversed an earlier decision preventing second-grader Victoria Nelson from donating a Bible at her school. The Nelson family contacted us saying that the district and school had not only rejected the Bible, but also their daughter. In that case, Advocates intervened by writing a nine-page letter to the district explaining that the Establishment Clause “mandates governmental neutrality” not only among different religions, but also “between religion and non-religion.” The demand letter pointed out that rejecting the Bible donation was tantamount to sending a message of disapproval toward religion. Whether it’s incidental or deliberate, public schools across the country are increasingly quashing the rights of students to practice their First Amendment rights of free speech and freedom of religion. As demonstrated by these cases, Advocates for Faith & Freedom is committed to protecting these unalienable rights, all across the United States. Help support Advocates by donating any amount today! Here Comes Common Core... What's the big deal? In 1776, Thomas Paine wrote, “Society in every state is a blessing, but Government, even in its best state, is but a necessary evil.” Our Founding Fathers recognized government as a necessary evil and, therefore, carefully crafted the American government with a separation of powers so no one branch of government became too powerful. Additionally, our Constitution provides the federal government with certain powers and the states with certain powers. Thomas Paine’s words ring truer now than in 1776, because the federal government’s “Common Core” curriculum interferes with States’ rights and violates federal laws prohibiting such control. Control of educational curriculum is a state right; not a federal right. Under Common Core and its financial incentives, the federal government is attempting to do what it legally cannot. The federal government, by financial incentives (our tax dollars), is attempting to take away power reserved for the states. A large part of the American government’s success lies in its inherent restraints on government power known as “checks and balances.” This means the federal government must not overstep its authority by ignoring the laws adopted by Congress. We, as citizens, should be gravely concerned when any branch of our government ignores laws restraining it and, in this case, treads on the rights of States. The questions students must answer on tests has an anti-conservative indoctrination and a socialism/communism agenda. Common Core is about lowering the academic standards for American children and the indoctrination of an anti-American agenda. Furthermore, Common Core collects our children’s data without proper parental consent. It is possible this data will be available to unknown sources. Common Core testing allows the educational system to ask if guns are in your home, if parents have served in the military, and other information not necessary to the academic pursuits of students. What can parents do? Use an Opt Out Form to remove your children from the Common Core testing. As long as California has Common Core, students may not Opt Out of the curriculum entirely, but may Opt Out of the testing for religious reasons. If all students opt out of Common Core testing, the system will fail to accomplish its hidden agenda. All citizens can write their political representatives encouraging them to get rid of the Common Core curriculum in California. 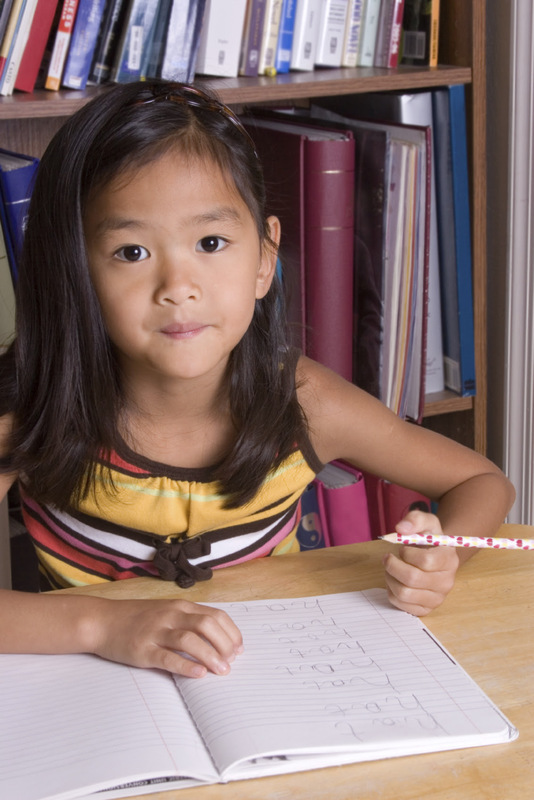 States like Texas and Alaska have not adopted Common Core for the reasons stated above. Lastly, when you go to the polls, make sure you know your candidate’s view on Common Core. Dear Friend, Recently, Advocates for Faith & Freedom was contacted by Gary Nelson regarding his third grader, Victoria, who attends an elementary school in the Temecula Valley Unified School District. The family was disheartened a couple of years ago—when Victoria was in first grade—and was not allowed to donate a Bible to the school-sponsored book donation program. Because of the media attention received on the Brynn Williams case, in which Brynn was not allowed to finish her Christmas presentation because she tried to quote a Scripture, Mr. Nelson was moved to contact Advocates after realizing Victoria’s rights had been violated. The elementary school offers a “Birthday Book Program” in which students may elect to celebrate their birthday by donating a book to the school library on their birthday. The donated book has the student’s name inserted on the front inside cover. The school then formally recognizes the student at the Friday Flag Salute Assembly. The student is called up in front of the entire school so that he or she can hold their book up and get a picture taken with their donated book. 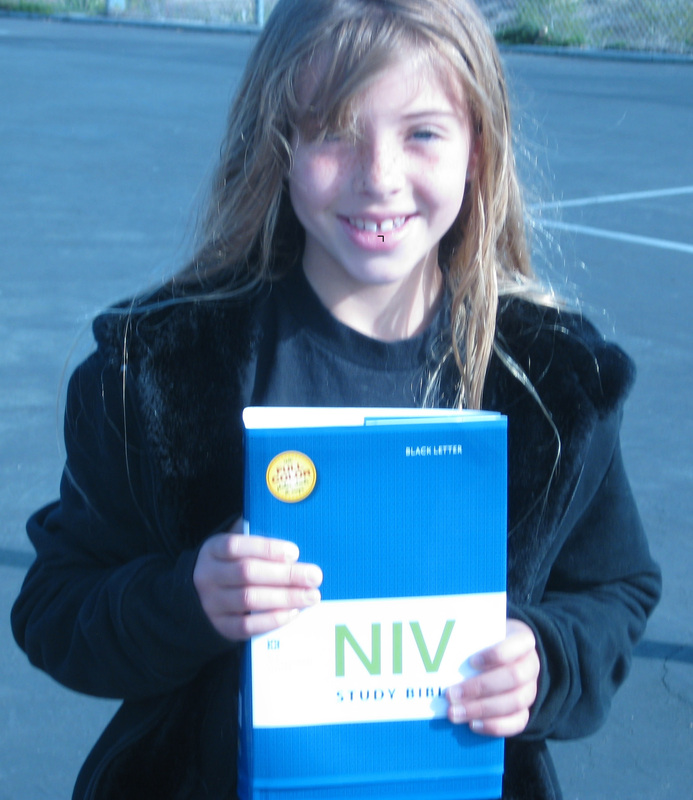 On Victoria’s birthday, she brought her favorite book to school to donate…the Bible. She handed the Bible over to her teacher and said, “John is my favorite book!” The teacher smiled and accepted the book with a thank you. A few days later, the teacher handed the book back to the student’s father, Gary Nelson, explaining, “The principal said students cannot donate the Bible. It cannot be in the library,” reported Mr. Nelson. That Friday Mr. Nelson had to explain to his daughter that her book had been rejected by the school and that she could not be recognized at the assembly. The family was upset because they felt that not only had the Bible been rejected, but so was the student. Advocates’ attorneys wrote a detailed 9-page letter to the school district explaining that the Establishment Clause “mandates governmental neutrality” not only among different religions, but also “between religion and non-religion.” Here, the principal’s rejection of the Bible as a viable donation towards the school library was a message of disapproval towards religion. After our attorney met with Mr. Nelson and the school principal, the principal apologized and Victoria was finally recognized at the next assembly and was allowed to donate her favorite book, the Bible, to her school library. This case is yet another example of District employees lacking knowledge of First Amendment rights, as well as lack of proper policies and employee training. Victoria had the right to give the school the Bible under the book donation program, the school had the right to receive it, and students now have a right to go to the library and read it. We Praise the Lord for this victory! Brynn Williams tried to read John 3:16 during a Christmas presentation in her class but was stopped by her teacher before she could read the Scripture. Isaiah Martinez was told that “Jesus is not allowed in school” by his teacher and watched as his teacher tore off his Christmas message attached to the candy canes he intended to give to his classmates. In both of these cases, we filed complaints with each of their school districts hoping to persuade the school boards to adopt policies that will educate and train school officials about the First Amendment liberties afforded to students and to implement a policy that prohibits school officials from expressing religious hostility and intolerance toward religion. We are in the process of negotiating with each of the school districts. If the districts refuse to respect our demands, we will likely file federal lawsuits to compel each district’s compliance. Pray with us, for our students, teachers, and administrators. Give a financial gift so that we can continue in this work. Let us know if you experience or hear about any hostility towards religion in the public schools. We thank you for your faithfulness and your prayers as we press on in this mission! Maybe you noticed that our February newsletter didn’t come at the end of the month as usual. Well, both Jen and I were very busy during the month of February. 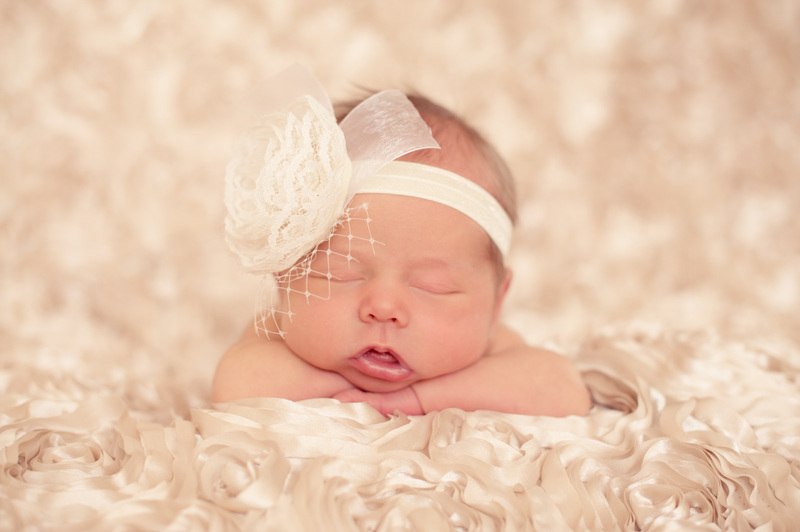 Jen and Jordan Bursch were blessed with the birth of their first child, Harper Grace Bursch. She was a real miracle in the making after beating the odds of some medical complications. Please pray for God’s continued blessings on this beautiful and healthy gift of life. 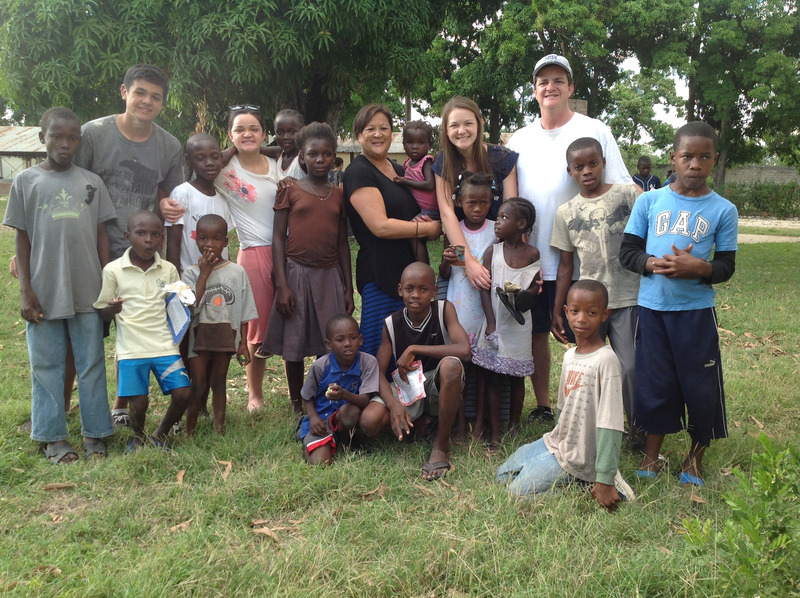 opportunity to support the local work of the Haiti Endowment Fund and its numerous churches and Christian schools in the outlying areas of Haiti’s Central Plateau. Religious liberty and Christian values appear to be well respected in Haiti. Though Haiti has a long history in Voodoo, Christianity is now welcomed throughout this poverty stricken nation.